The idea of having your natural teeth removed and wearing dentures can be a frightening thought. Whether because of injury, illness, or a genetic disorder, however – many dental patients find themselves in need of extractions to improve long-term health and wellness. Visiting a dentist in Mexico for your dentures allows you to enjoy quality work at affordable prices; soon, you will have a new, beautiful smile that you feel great about. 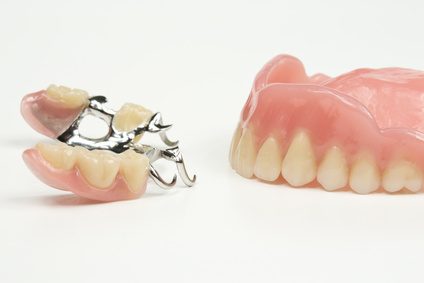 While some patients need complete dentures in Mexico, other patients need just a partial denture. Only a full exam with our dentist will determine whether you need a complete set of dentures, or if partial dentures could be an option. Partial dentures can replace a row of missing teeth, simply by attaching custom dentures to other teeth surrounding the space. This is an excellent option for patients who have mostly healthy teeth, but need to have several removed in one area. Patients who have significant tooth decay or damage may be better candidates for a full set of dentures. One of the first concerns that patients have when they hear that their best option is to have their teeth removed and be fitted with dentures is how long the healing process will take. Many of our patients assume they will need to go without any dentures for a period of time to allow their gums to heal, and this is a significant cosmetic concern. However, often our dentist in Mexico will be able to provide patients with temporary dentures. This allows you to immediately enjoy the appearance of a healthy smile while you heal. It can take up to six months for the gums to heal enough to be fitted for permanent dentures. What Types of Material Will a Dentist in Mexico Use? Our in Mexico will use exceptionally high quality, long lasting materials for your dentures, regardless of whether you are a candidate for a partial or full set. Top quality acrylic is the most common material that is used for dentures, while other materials include Flexite, Valplast and quality metal for the frame. You can be confident that the materials used will be formed to your unique anatomy and will be comfortable to wear. Many people choose to get dentures in Mexico instead of the United States because the cost is significantly less. Dentures in the U.S. can cost anywhere from $450 to $1150 per denture plate, whereas the cost in Mexico only ranges from $300 to $560 per plate. 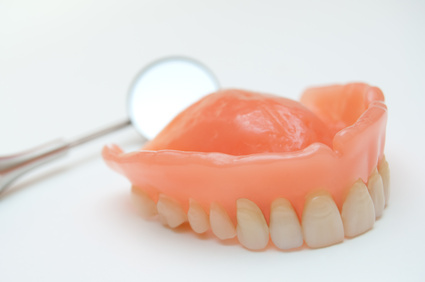 If you may need dentures, you could save significantly by working with our dentist from Mexico. Not only will you be receiving the same quality materials that are used in the U.S., but you will receive the same high quality care you expect from U.S. dentists.